Breakfree With Kati Patang At The Summer Mode On March 23! Bring your summer dreams to life at this shopping haven with exquisite brands, bites and best of all - beer you can chug on throughout your shopping extravaganza at LBB presents The Summer Mode Powered by É By NESCAFÉ! Yep, that’s right - think bright sunny day with a chilled Kati Patang craft beer in one hand while you shop your heart out. Keep reading to know what’s in store for you. Are You A Kati Patang? Much like most of us, the folks at Kati Patang are all about getting lost to find your passion - whatever it may be. 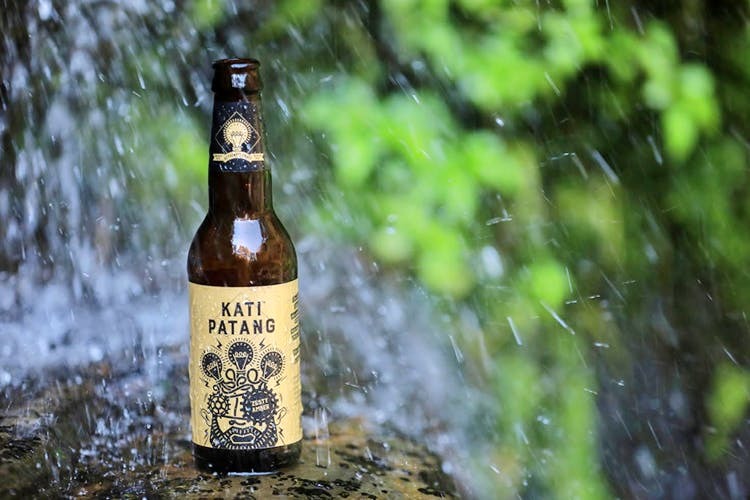 Dive right into the summery vibes and open a bottle of a refreshing, cold brew from Kati Patang. This amber-gold beauty, loaded with all-natural malts and aromatic hops, is a perfect balance of intensely complex flavours with a wonderfully smooth caramel finish. So head over to the Kati Patang’s Break Free zone with your friends and enjoy a sunny Saturday with chilled beer! Keep your eyes and ears open because these folks will also be hosting a treasure hunt throughout the day. Stay on the lookout for any hidden clues or announcements because if you manage to solve it right, you’ve got 2 beers on the house! Feeling beer-y happy yet? Not just that, they will also have uber cool merch for you guys like t-shirts, bottle openers and beer glasses. Feeling lucky? Click here to participate in their contest for a chance to win a special hamper from Kati Patang! If beer is what makes you happy and you cannot resist a chance for some well-deserved retail therapy, then this 1-day event will the best way to kick-start your summer. Switch on your shopping mode and dive right into it! And what’s more - they’ve got happy hour from 12 noon to 1 pm to get 1+1 on beer! So be an early bird and grab that hoppy worm while you can.